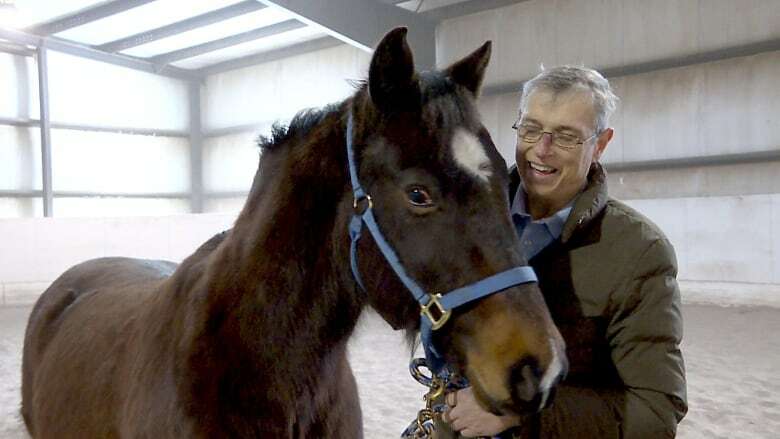 A former first responder with PTSD is spearheading an equine therapy program to support others with workplace-caused trauma. 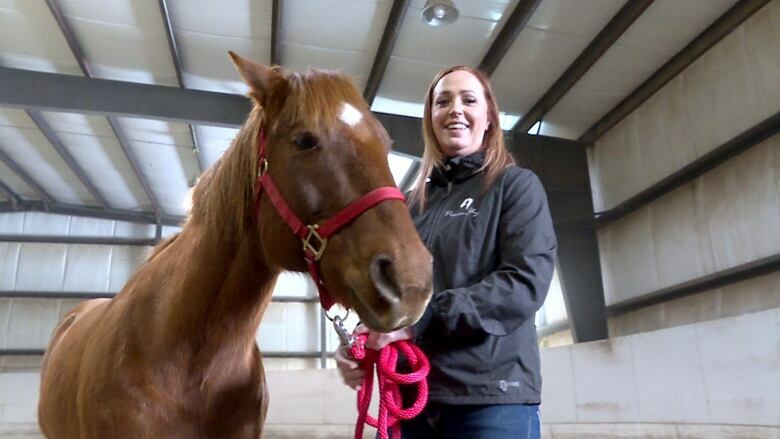 Jessica van der Hoek, the president of Prairie Sky Equine Assisted Therapy in Calgary and coordinator for the PTSD program, says she was a paramedic for 18 years and was diagnosed with post traumatic stress disorder in 2011, which she said led to her divorce, financial struggles and issues with alcohol use. "I already had horses in my life at that point. And for me it gave me a sense of purpose because they were relying on me to get up and to look after them … so they also gave me a safe place to be myself," she said. "Now that I'm on the other side of it it's extremely important for me to provide as a space for people to come get help that have had similar experiences to mine." The pilot program in March will run one evening per week for six weeks to support first responders, military personnel and correction officers struggling with workplace-related mental health and PTSD. She said the program will target those groups, as they can be more susceptible to developing PTSD than members of the general population due to the situations they face day to day. "It's quite lovely to come and have a 1,300 or 1,400-pound animal be happy to see you and want cuddles and, you know, want to spend time with you when you feel like nobody wants to be around you," van der Hoek said. Attendees will go through a variety of activities to develop self-awareness and self-compassion during each session, she said, including decompressing and talking to their peers and learning how to groom and be around horses. Dr. Mark Kolodziej, a psychotherapist who works with Prairie Sky, says the use of animals in therapy is becoming increasingly popular. "Horses … are very attuned to the emotions of the people they're dealing with," he said. "An animal is non-judgmental and again, very safe, and will mimic the body language of the person that is handling them at that particular point and it's very therapeutic." Kolodziej learning how to communicate with a horse as its handler is a safe way to work through the frustrations that can sometimes come with communication in the outside world. Prairie Sky is accepting donations to cover most of the costs to the program, so they can charge attendees just a $45 fee per class.